Now leaving aside the outright lies on the sticker, and the fact the brands to boycott page is empty (! ), the people behind the site are encouraging vandalism, plain and simple. And it has already worked. A Miami supermarket chain said it was investigating reports that Israeli products at a Miami store were vandalized on its shelves. “Please note that our store manager has been notified [of the damaged products] and they are investigating into this situation,” the Publix supermarket chain tweeted on Tuesday. 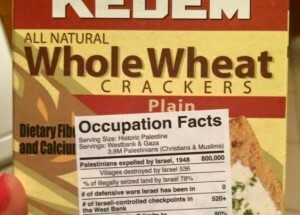 The supermarket’s announcement came after a photo of a Kedem product apparently from a North Miami Beach store was posted to Twitter, with a mock-up “Occupation Facts” sticker pasted on the front. The site includes this disclaimer. The information on this site is for entertainment purposes only. By utilizing and accessing stickerprotest.org and / or by requesting advice either through the site or any of the guests or affiliates of the company, you agree to release stickerprotest.org from any and all liability with regard to the contents of the site and/or advice received. By requesting/downloading products, advice or any information from stickerprotest.org, you agree that stickerprotest.org is to be considered a curio and entertainment on your behalf. Advice or content may or may not influence your decisions and/or behavior. You agree that by accessing stickerprotest.org you take full responsibility for any and all consequences acted upon in utilizing the information provided within our site. 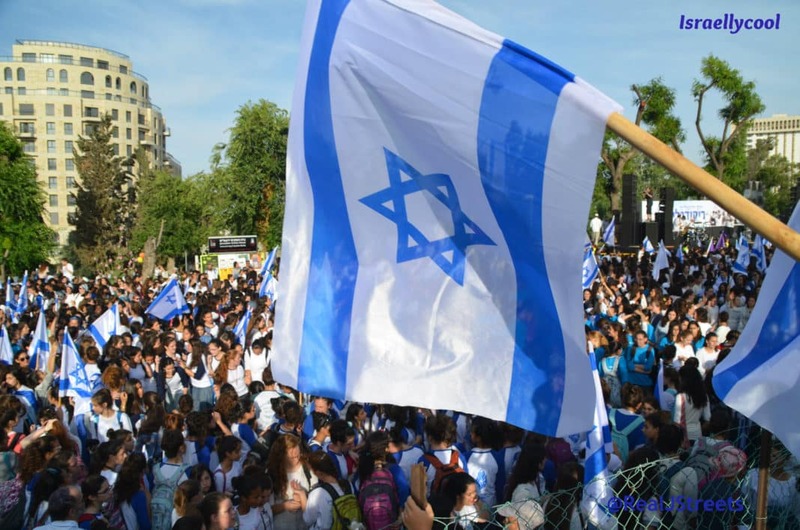 It is pretty clear they have set up the site so Israel haters will do as instructed. The disclaimer has been put there so those behind the site can avoid any legal action stemming from the inevitable vandalism perpetrated by their fellow BDSHoles stupid enough to follow the instructions. The site owners have also covered their tracks, using this service to mask their identities. I hope they catch the cowards.